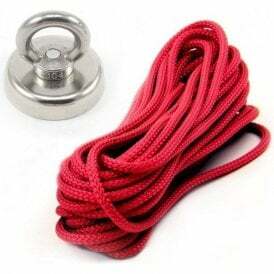 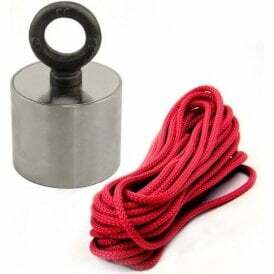 High power clamping magnets with removable eyebolts are ideal as recovery and retrieval magnets, for holding portable lighting to steelwork, holding cables off of the floor on building sites and provide a temporary or permanent hanging point on any steel surface. 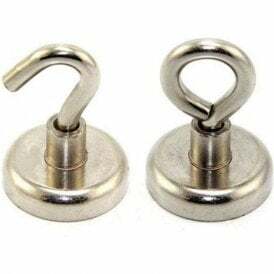 The smaller sizes are often used in supermarkets to hold promotional signs that are suspended on wires attached to the magnets which are attracted to metal ceilings. 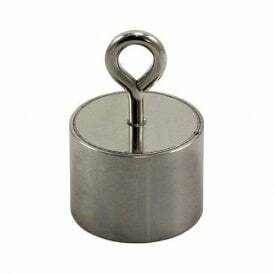 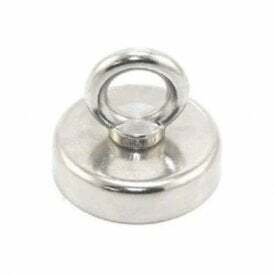 The pot magnets within our eyebolt range are only magnetic on their bases and because the magnet is secured inside a strong steel shell, they can be continually clamped onto steel surfaces without cracking or chipping. 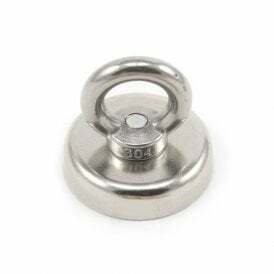 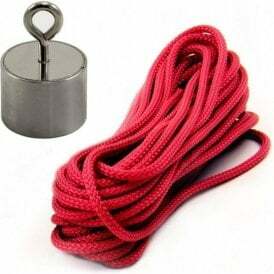 The steel eyebolt can be removed and the threaded collar can be used to accept a steel screw or bolt.